I feel in love with LILLEbaby back in 2014 when B was just a wee little nugget. 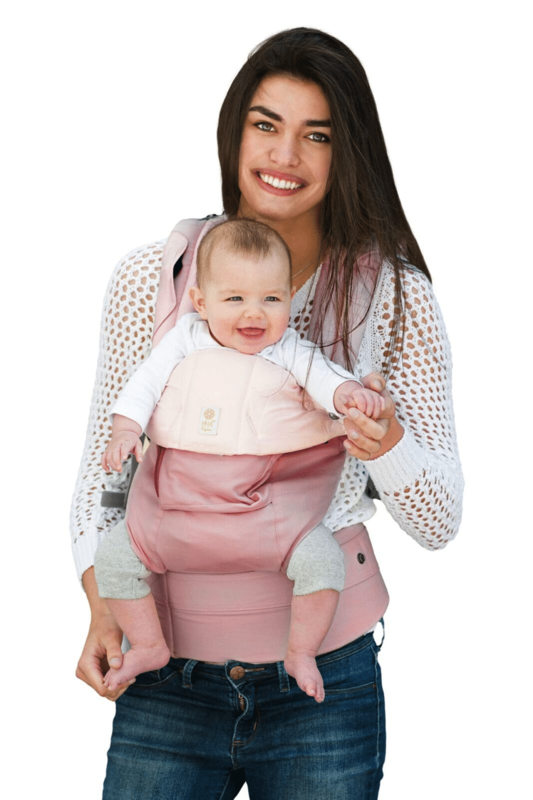 That first love was the LILLEbaby Complete Organic soft structure carrier (you should go read about it…and see how tiny she was). It was like butter. Or, I should say buttah! And then shortly there after, the organic line was gone. 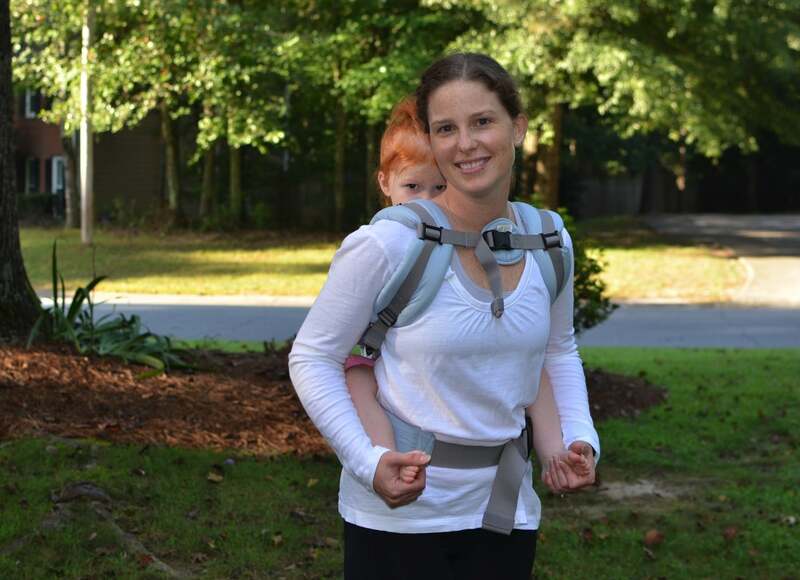 And the LILLEbaby complete got a facelift with a new logo a very generous pocket on the front (for holding all the things) and two-way adjustable straps (which, for the record, adjust the same strip of strap, it just makes it easier to pull it based on the way you are carrying your little one…see picture at the end of the post). Pretty much everything else is the same. They introduced fun new patterns, the embossed line (seriously, also amazing) and the Essentials. But, the poor organic was missing in action. Well, the Organic line is no longer missing. And, in true LILLEbaby fashion, they are out with a bang! This is the beauty that is known as Powder Blue. The new organic line is made from beautifully sustainable certified organic cotton. If you are a VIDEO person, scroll down below to check out my video. It is a bit on the steely blue side. And, I have to admit, when I first opened my box, I was a little sad because it wasn’t what I imagined. And, then I went out side and it’s everything I thought it would be and more. For reference, B is now approximately 35 inches tall. Not too sure on her weight, but if I had to guess, she’s about 28 pounds. And, she’s 2.5 years old. And, sometimes, she’s a snuggly little shy nugget. This picture was really dark, so the color is a little off, but I wanted you to see how she can still snuggle into the LILLEbaby Complete Organic, even as a toddler. And, at 35 inches, she still has a great seat with the Complete. 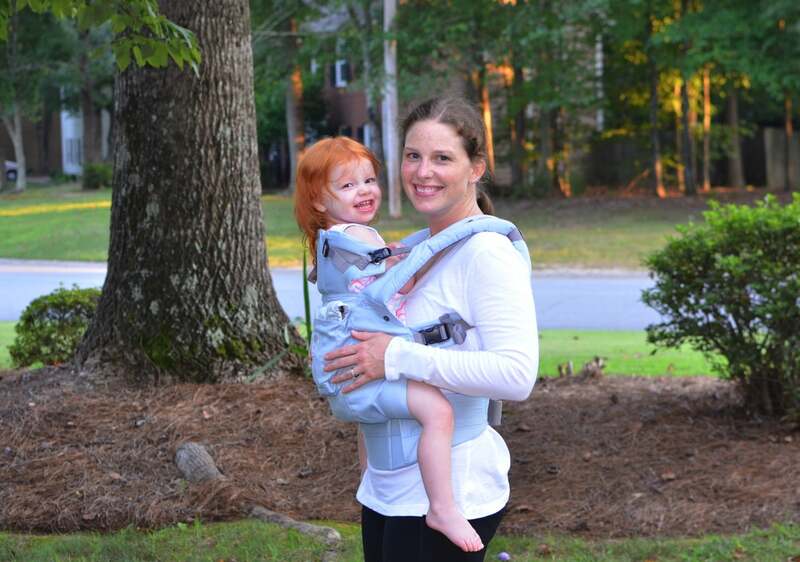 She just recently (within the last two months) started fitting in the LILLEbaby CarryOn. Yes, she’s a small two year old, but the Complete Organic has a large range. 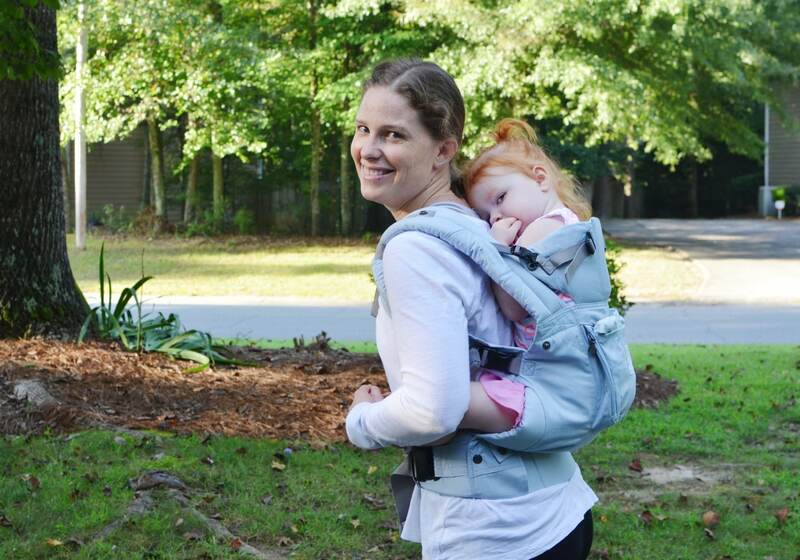 This new LILLEbaby Complete Organic (100% Organic Cotton) does not disappoint! The fabric is buttery soft and oh so gorgeous. And it’s completely snuggle ready! The grey accents really suit it nicely. 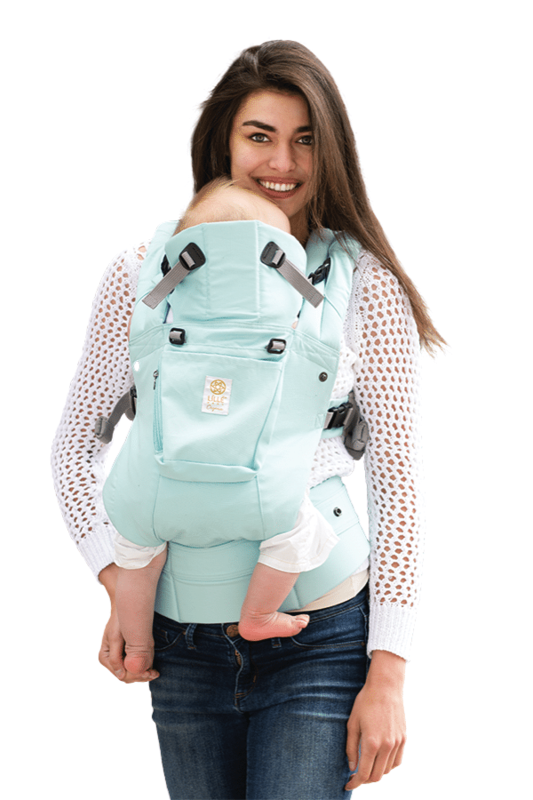 They didn’t stop at one color, instead they come in their most snuggle-ready fabric that returns in four delightful debut colors – Sea Glass, Blushing Pink, Powder Blue, and Blue Moonlight – and, for a limited time only, our classic LILLEbaby Green Meadows! Your future is full of sensational softness – like all of the best things in life, you’ll simply have to feel it to believe! 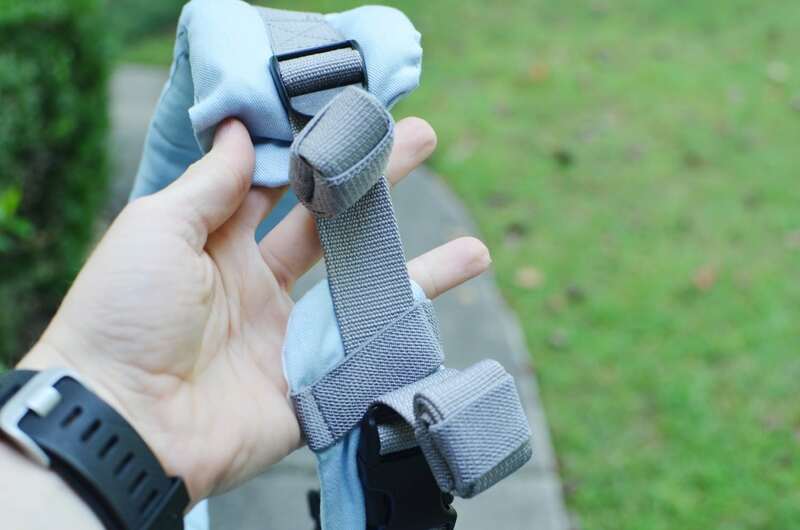 This is a close up of the two-way adjustable straps. It’s one piece of material just with two ends to adjust it. It’s only for ease of loosening and tightening on the panel. It doesn’t matter which side you pull tight or loosen. 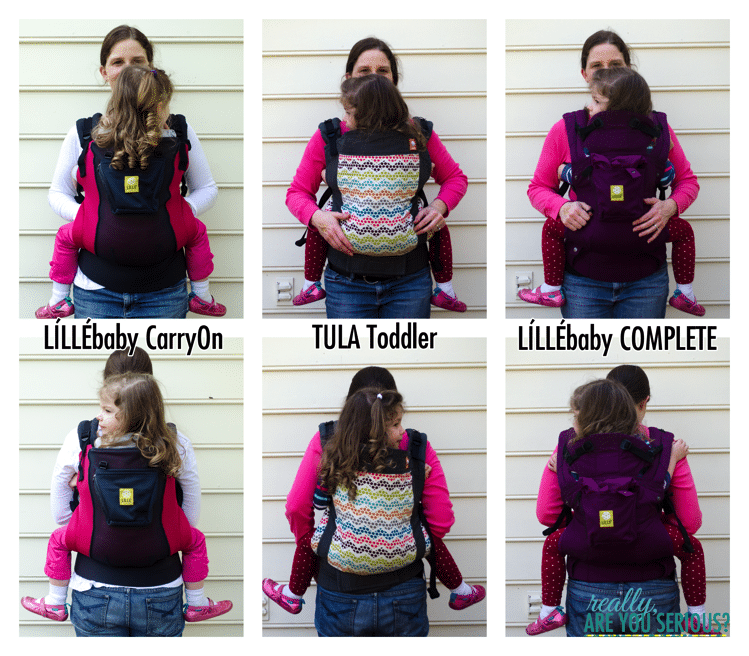 I don’t think you will be disappointed in the LILLEbaby Complete Organic line. All of the colors are gorgeous and the fabric is so amazing! Becoming a parent reminds us that we pass the world down to our children. 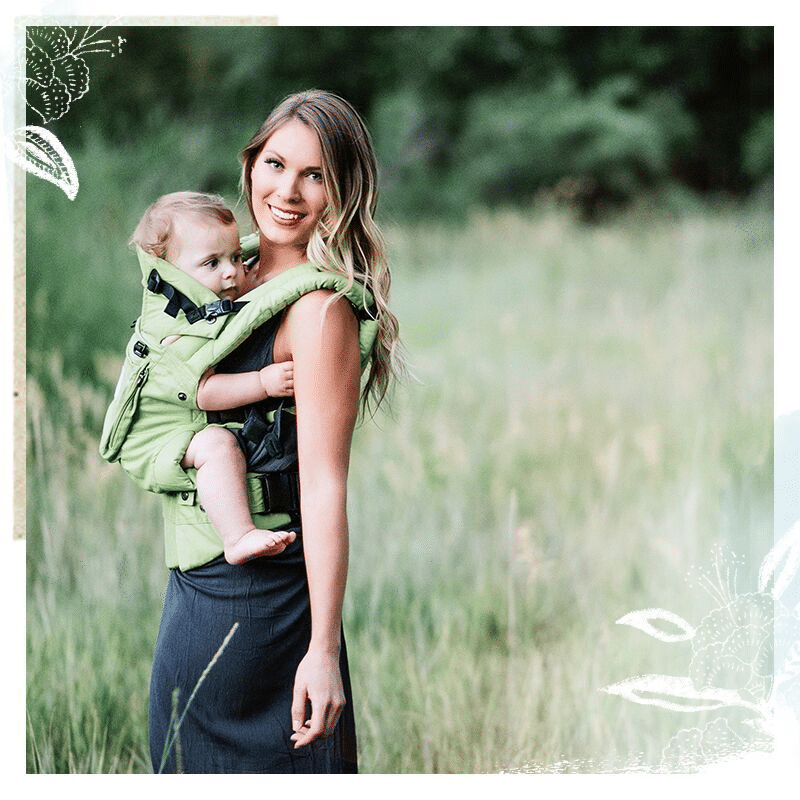 To that end, LÍLLÉbaby is committed to minimizing our impact on the environment by bringing you environmentally responsible products and maximizing recycling in our production, packaging and day-to-day work. Though “organic” and “sustainable” are quite the buzzwords these days, they’ve been a part of our company vocabulary from the very beginning. We started almost 10 years ago with lots of optimism, but little money, so conservation was critical – it became a way of life. But the biggest impact is not our biking to work or reusing the printing paper, but the way we make our products. That’s why we design our products to be the most sustainable versions we can make. Our packaging and ink are tested for their decomposability performance in landfills to ensure they are not harmful to the environment. The materials we choose, the coloring we use, the production methods we employ, and the factories we select are where we make sure the products are healthy for our little customers, and where our green philosophy makes the biggest difference. 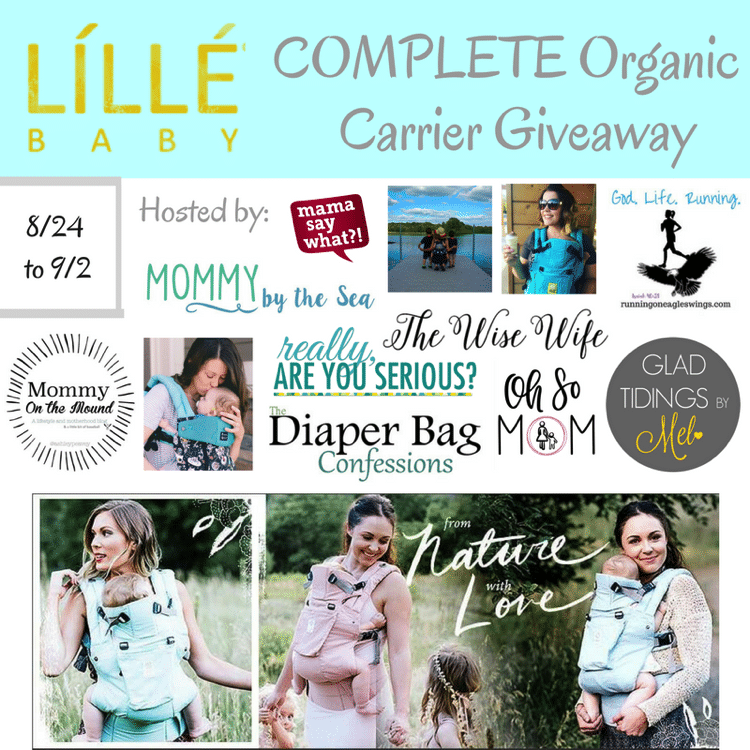 You can buy the LILLEbaby Complete Organic straight from LILLEbaby starting today….or see below for how you can enter to win one of your very own! 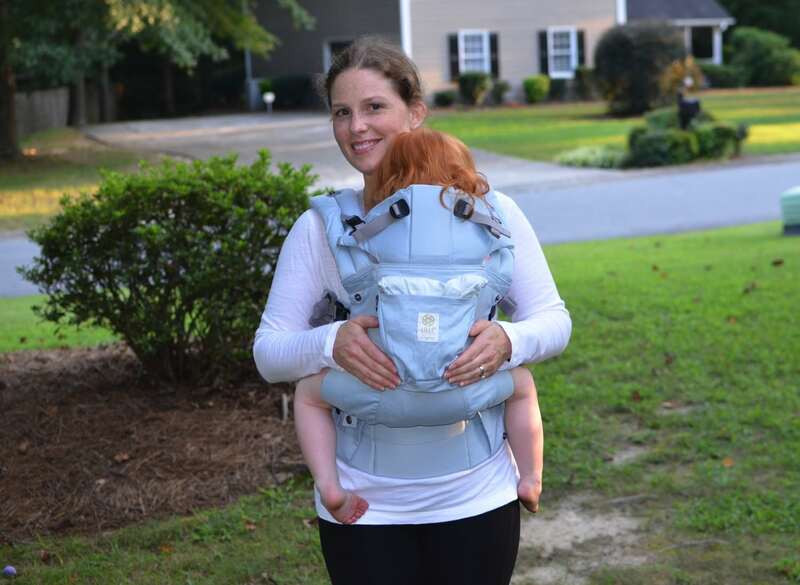 I have the Lillebaby Complete All Seasons and we all LOVE it. It definitely has made me want to buy other styles, the organic sounds delightful! 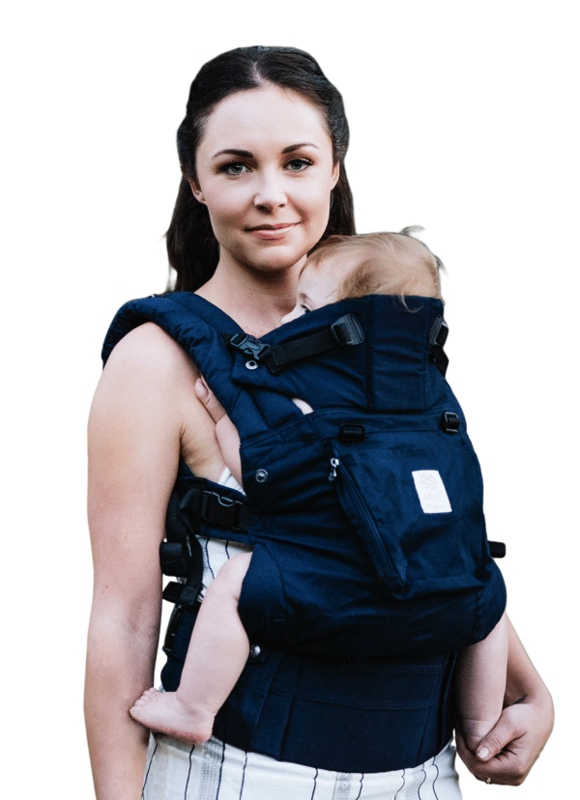 It really is…and you get a different pocket with the Organic than you do with the all seasons! good luck! Omg!!!! Love! And now I NEED another one! Love the sea glass color and the blue midnight!!! The sea glass sure is pretty…I actually thought I was ordering that one, but I like the one I got, too! 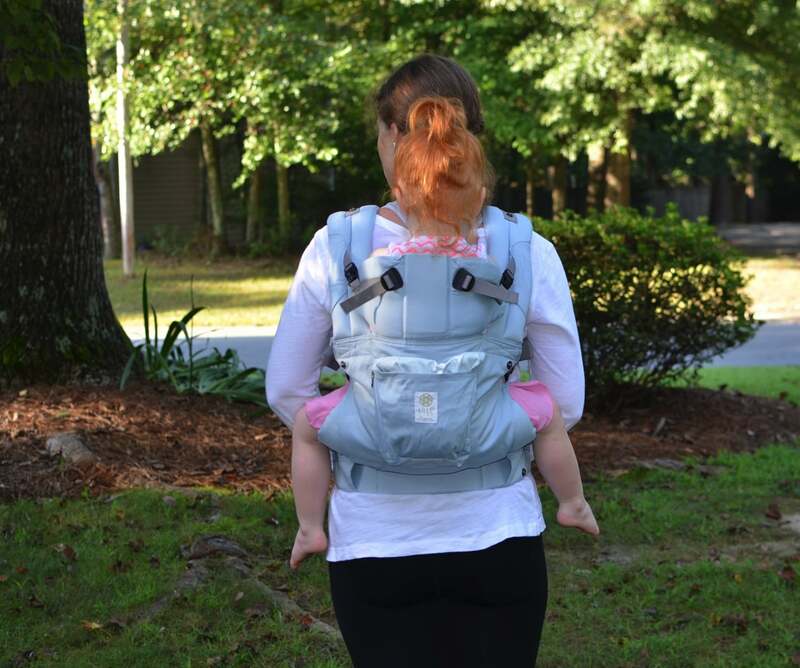 I’ve always loved the way the LilleBaby looks and would love to win one! That picture of you and B is great. Very beau… full of love! I would love to have one of these. We have a new arrival coming in March! This would be perfect! I love love love the blushing pink! I had my 3rd daughter in April, this would be awesome to win. Thanks for the chance!